Prepare yourselves; this is bound to be long. First off, I have a new template that I am putting into my store. This is one of my favorites and I think you will like it too, especially since it also includes some “designer” embellishments for your personal use as well. The textured ric rac, the folded ribbons, and the staples are all included and on separate layers for your recoloring convenience. 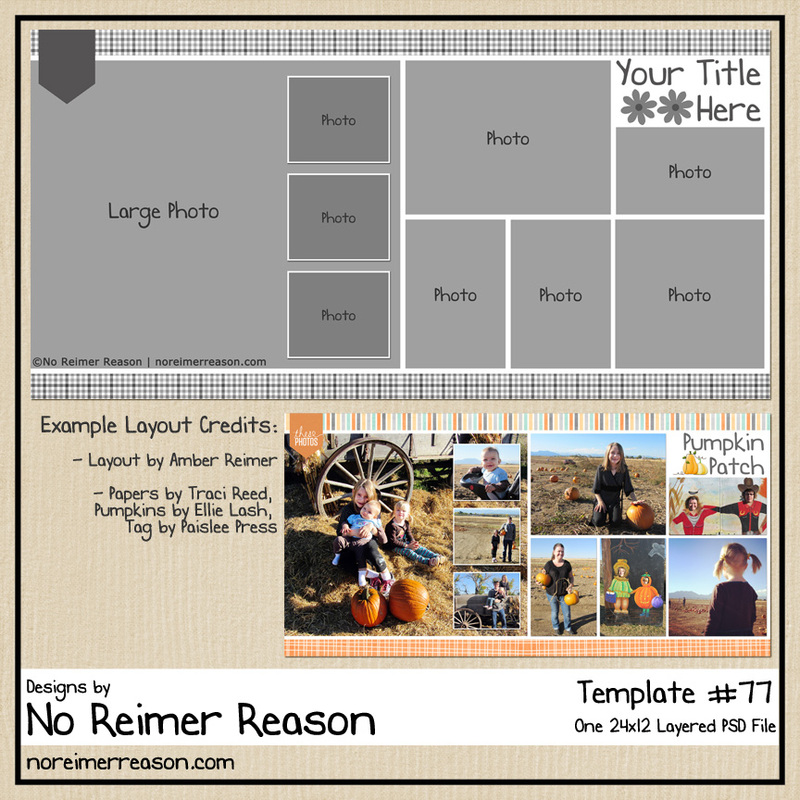 Those embellishment layers can also be dragged and dropped onto your other layouts too, so you will be getting more than just a template. 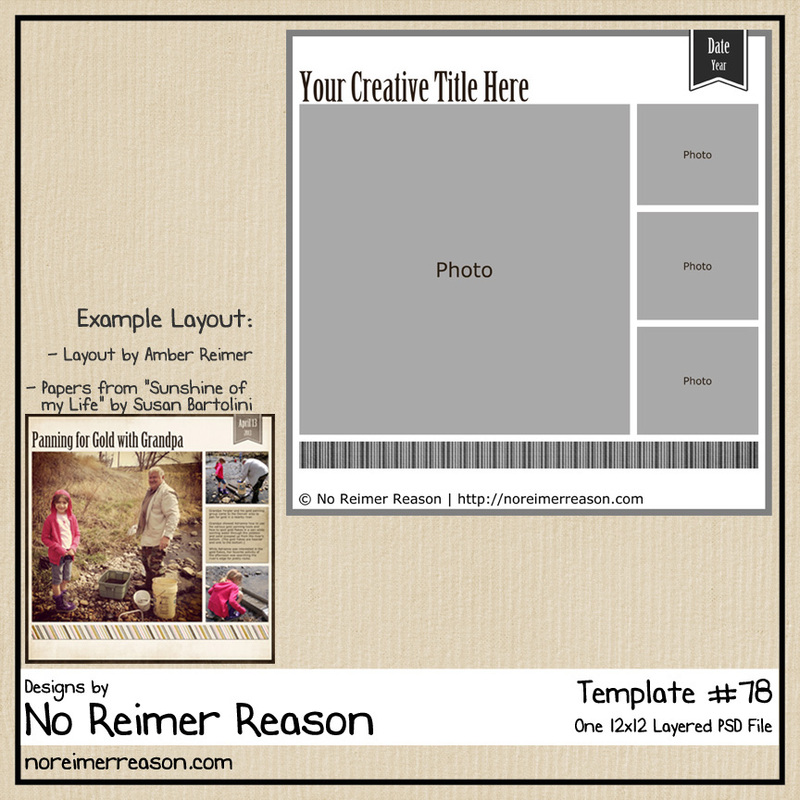 Please click on the template preview below to be brought to the No Reimer Reason Store listings. (Checkout is securely processed through Paypal; no login needed!) From there you can select your item(s) by clicking the “Add to Cart” buttons. 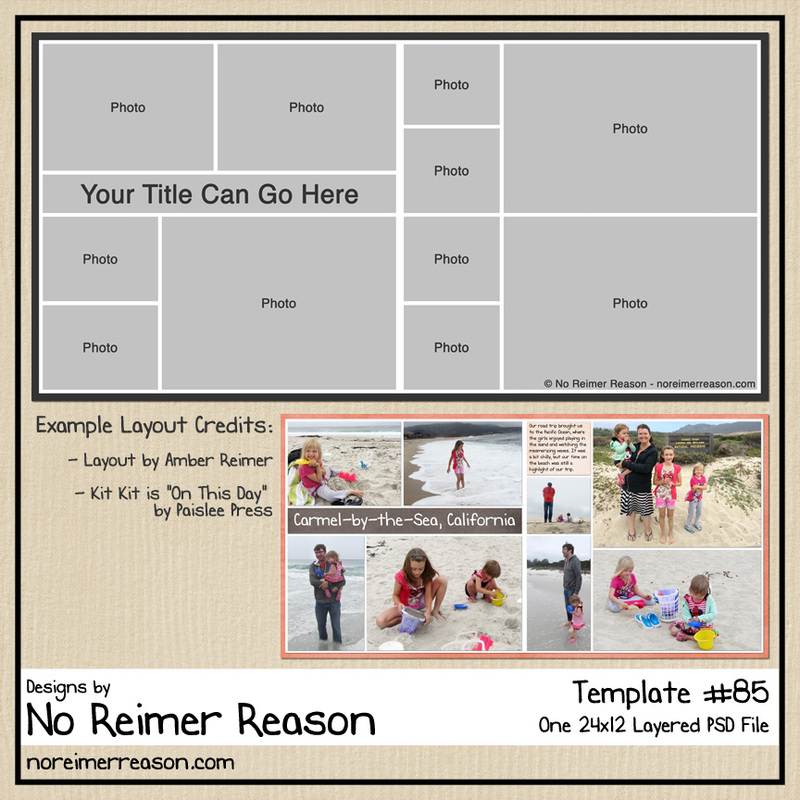 Okay, now for the REAL reason you all are here…the free digital scrapbooking kit! 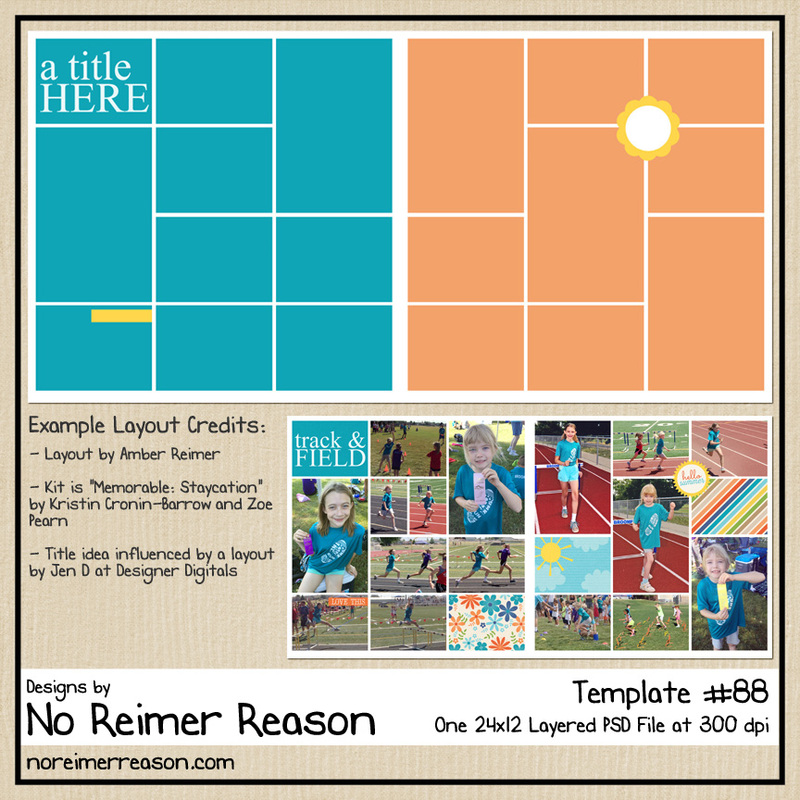 This kit was the brainchild of Beth over at Unmommy.com. UnMommy.com is a website for, yes, Moms. But at the same time it isn’t ALL about mom stuff. I found the site from my Google Analytic Stats (someone had put a referral link to one of my previous templates) so I went to check it out last week. It has a small forum population (which I like) compared to some out there since it is so new, and they have a digital scrapbooking section that I have been frequenting the site in recent days. Anyways, Beth and I are both learning the how to design kits so she asked me to collaborate on one. The colors we chose are based on the available “skins” to the UnMommy.com site. So, without further adieu, here is my portion of the first, (official?) UnMommy collaboration kit. I will post a link to Beth’s portion once she gets hers uploaded. Update: Beth has her portion of the kit posted on her blog as well. You can download it on her site – December Daydream. UnMommy LOVES it! Thanks a ton for putting this together for us (and everyone else)! You are one talented Mama! Great job on the kit, Amber! Love the template, too!! This is awesome!!! You outdid yourself. Thank you so much. Thank you so much! Great job! I love it! This was so much fun! We need to do it again!